Romanian born Nastase is a former world number one mens singles tennis player. He has won two Grand Slam singles titles, the US Open in 1972 and the French Open the following year. He is well known for his good humour on court. He has made an unsuccessful attempt at running for mayor of Bucharest in 1996. John Lennon and his first wife Cynthia, 19 October 1967. 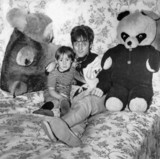 Beatle John Lennon and his son Julian, 11 February 1968. 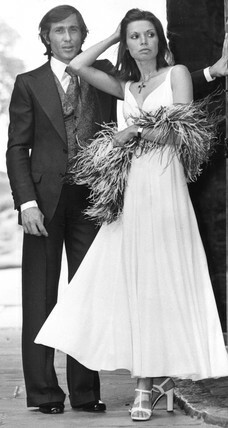 Richard Burton and Elizabeth Taylor, British actors, 21 June 1963. I K Brunel with Robert Stephenson and others, 1857.